The country held its annual military parade down the Champs-Elysées to mark the holiday, with groups of troops marching in matching, brightly colored uniforms. Singaporean troops joined the parade this year to accompany the guest of honor, Prime Minister Lee Hsien Loong. 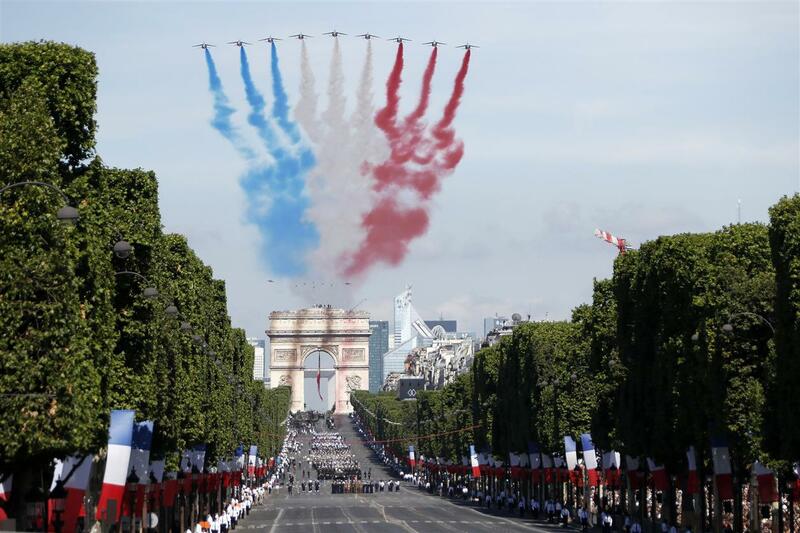 Bastille Day marks the storming of the Bastille military prison in 1789, an event that sparked the French Revolution.